Coach Your Team to Success! This is going to be an exciting year for soccer fans! Footy lovers across the world will gather around televisions this summer to take in the World Cup live from Brazil. And, as if that wasn't enough for soccer fans in the GTA, Toronto FC has just made a big splash in MLS by bringing in three big-name players. After the additions of Dwayne De Rosario, Michael Bradley, and Jermaine Defoe, this could be a great year for the Toronto club. With all this new talent on the roster,TFC fans like myself are anxiously awaiting to see how coach Ryan Nelson will handle the task. Of course, if he finds himself in trouble he can always pick up a copy of Hamlyn'sHow to Coach a Soccer Team by Tony Carr. 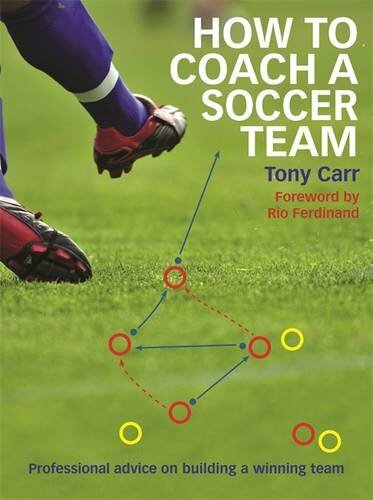 Tony Carr, Director of Youth Development at the West Ham United'syouth academy, is often cited as one of the best youth soccer coaches in England, and he covers all of the bases in this book. It is a must have for any aspiring soccer coach. Each section has a simple layout and features full-colour pictures and easy to follow diagrams; so easy in fact, they made me think even I could coach a soccer team (and that's saying something)! That said, this book is perfect for coaches of all skill levels. New coaches might want to read all the chapters in one go to get a solid overview before coaching their first squad, while seasoned coaches can jump to specific sections to help them freshen up their practices with a new drill or perhaps ease the mood with some lighthearted ball play. And who knows – with a World Cup, and a (hopefully) banner season from TFC on the horizon – there might be a spike in youth soccer enrollment. If that's the case, teams will need coaches and one of them could be you. In the book's forward, professional footballer, and ex-student of Carr, Rio Ferdinand says that "Good footballers in well-organized teams win matches and championships. And it's inspiring coaches that help get them there." Let this book help you get your team there!